It’s that time again al­ready — set re­view time! 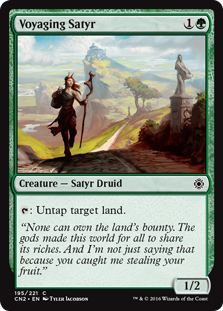 This has been an event­ful sum­mer for Magic: The Gathering play­ers with the re­lease of Vintage Masters, and as sum­mer comes to an end it’s time to look at the sec­ond non‐block set of the year, Conspiracy: Take The Crown. 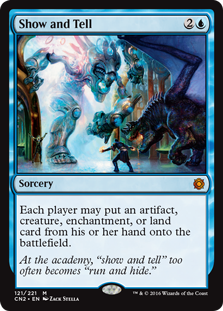 If you don’t know, Conspiracy was a new type of set in­tro­duced in 2014 by Wizards of the Coast that flew some­what un­der the radar as far as Magic prod­ucts go. Conspiracy was a Draft ori­en­tat­ed, mul­ti­play­er fo­cused for­mat where ide­al­ly eight play­ers draft a box of 36 boost­er packs and split off into two free‐for‐all games of four play­ers. The set was unique in that it in­clud­ed cards that di­rect­ly af­fect­ed the course of the ac­tu­al draft, as well as pow­er­ful con­spir­a­cy cards that had large over‐arching ef­fects on the game. 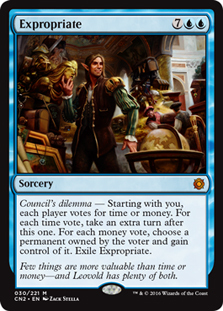 Its se­quel Conspiracy: Take The Crown fol­lows the same for­mu­la with its biggest twist com­ing from the in­clu­sion of a high num­ber of re‐printed cards. Let’s break­down the as­pects of the set. First and fore­most, Conspiracy is a Draft for­mat, and in­cludes a num­ber of “draft mat­ters” that only af­fect the draft­ing phase of the game. These “draft mat­ters” cards make a re­turn in Take The Crown. Cards such as Leovold’s Operative must be draft­ed face up but give you a use­ful ef­fect, such as al­low­ing you to make two picks from the same boost­er. 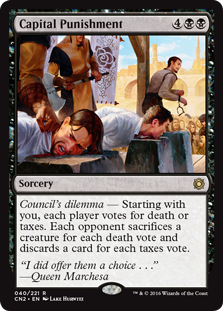 Cards like Regicide func­tion a lit­tle dif­fer­ent­ly as you still re­veal them as you draft, but part of their func­tion is de­cid­ed dur­ing the draft. This can make drafts take a long time, but for a ca­su­al night with friends and drinks these lit­tle in­ter­ac­tions dur­ing the draft help keep things in­ter­est­ing. Also mak­ing a re­turn is the Council’s Dilemma me­chan­ic in which play­ers can vote on the ef­fect of a card. This added a group and power‐play dy­nam­ic to the orig­i­nal set, so I’m glad to see it back. Once again there are also cards that can ma­nip­u­late those de­ci­sions, such as Illusion of Choice, so be care­ful when you ap­peal to a pos­si­bly cor­rupt democ­ra­cy. The set also in­tro­duces two new abil­i­ties that func­tion more like tra­di­tion­al key­words: Goad and Melee. Both of these guide how com­bat will play out. Melee re­wards you for at­tack­ing mul­ti­ple play­ers, high­light­ing that this is a mul­ti­play­er for­mat and re­mind­ing you that you don’t have to at­tack a sin­gle tar­get each com­bat. Melee also works well with the next abil­i­ty we will dis­cuss in that it in­cen­tivis­es not fo­cus­ing on a sin­gle play­er that might nat­u­ral­ly oc­cur in these types of mul­ti­play­er games. 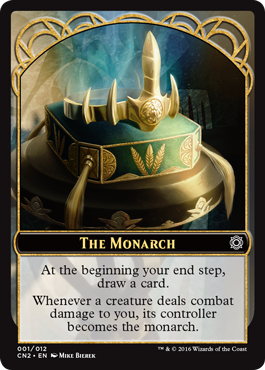 The biggest shake‐up and de­par­ture from the orig­i­nal Conspiracy set is the Monarch me­chan­ic, one of the taglines for Conspiracy: Take the Crown is “Heavy is the head that wears the crown” and that’s born out in the game­play. The game starts with no monarch. Cards can ei­ther make you the monarch, like Keeper of Key, that also grants you ad­di­tion­al ben­e­fi­cial ef­fects. Or you can be­come the monarch by suc­cess­ful­ly deal­ing com­bat dam­age to the ex­ist­ing monarch. 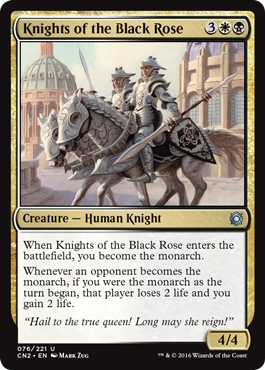 There are also cards that will re­ward you for be­ing the monarch, along with get­ting the sta­t­ic card‐draw ef­fect list­ed on the monarch to­ken. Being the monarch is very de­sir­able, but it also paints a tar­get on your chest, so choose wise­ly when you want to reign. 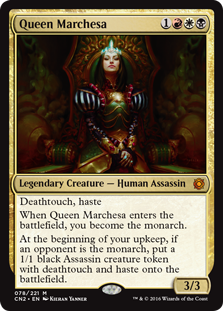 Queen Marchesa is unique in that she is grant­ed a pow­er­ful ef­fect when an­oth­er play­er is the monarch. 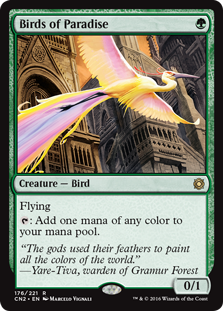 Just look­ing at the set‐list as some­one who’s draft­ed most of the re­cent Magic: The Gathering sets, I can see cards I recog­nise as Draft and Constructed favourites from pre­vi­ous sets. 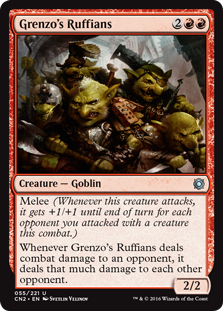 Part of what made Theros a fun draft en­vi­ron­ment is sur­pris­ing­ly present here. Omenspeaker and Voyaging Satyr are two cards I was al­ways hap­py to have, and are unas­sum­ing­ly strong cards to have in your deck. 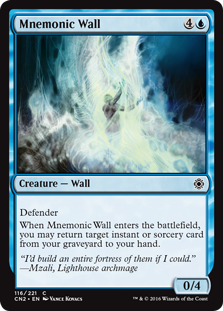 We have cards such as Mnemonic Wall, Flame Slash, and Murder all print­ed at com­mon. 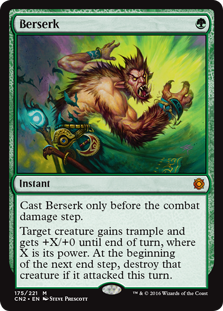 These is al­ways a de­gree of filler in any Magic: The Gathering set, but the num­ber of cards I would con­sid­er “un­playable” in a draft is pret­ty low here. To its im­mense cred­it, Conspiracy: Take the Crown Limited feels a lot more like a bud­get cube than a reg­u­lar block set, but with a flavour of po­lit­i­cal in­trigue and sub­terfuge that makes the set its own. 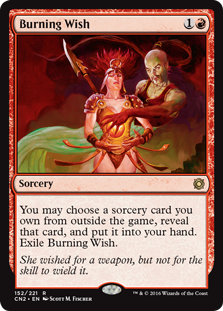 The big head­line grab­ber of this set that many, in­clud­ing my­self, didn’t see com­ing was the reprint­ing of two cards that are the lynch‐pins of their re­spec­tive Legacy decks: Berserk and Show and Tell. These are the two flashy chase mythics of Conspiracy: Take the Crown, with Show and Tell hav­ing its very own Legacy deck, but the trend runs deep­er than the ob­vi­ous im­pact on fi­nan­cial val­ue, which we will cov­er lat­er. 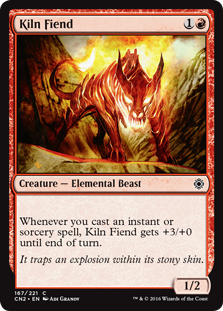 When was the last time you could list ten cards from an Unlimited print run set that saw mod­er­ate to de­cent play in Modern? Never mind cards be­low myth­ic rar­i­ty. I could keep go­ing, but I set the cut‐off at ten for the sake of brevi­ty. 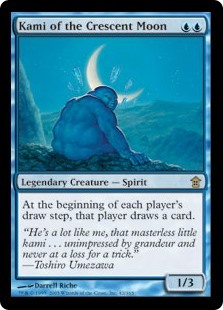 Many of the cards list­ed above are also Commander sta­ples, and the set has specif­i­cal­ly Commander tar­get reprints such as Kami of the Crescent Moon or high cost, big im­pact mul­ti­play­er fo­cused cards such as Expropriate. It also shouldn’t be over­looked that you can be­come the Monarch in Commander, in­stant­ly adding a new di­men­sion to games. Pauper feels like an odd fit, but the Monarch sys­tem feels right at home in mul­ti­play­er Commander game. Just be sure to check with your play­group first. These isn’t much else to say be­yond that Conspiracy: Take the Crown is square­ly aimed at Eternal for­mats with­out need­less­ly sac­ri­fic­ing its own play en­vi­ron­ment. 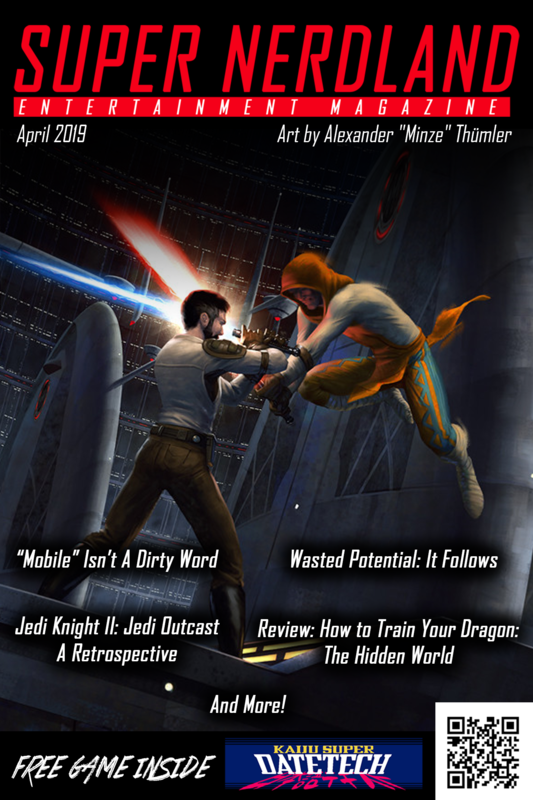 Please Wizards, keep in­clud­ing re‐prints like this. Giving new­er play­ers cards in their boost­er packs that are played wide­ly in Eternal for­mats en­cour­ages those play­ers to ex­plore those for­mats more. This is good for the game, and needs to be seen more of­ten. How much value is in Conspiracy: Take the Crown? The last few years have made be think Wizards of the Coast had no idea how their own game or its af­ter­mar­ket worked, or that they did and they just didn’t care. Conspiracy: Take the Crown gives me hope that my pes­simism is mis­placed. I’d com­plete­ly avoid­ed the drip‐feed of spoil­ers be­cause — as a huge fan of the orig­i­nal Conspiracy — I was look­ing for­ward view­ing it in its en­tire­ty when it was re­leased. When I did fi­nal­ly look over the com­plete spoil­er to prime my­self for a draft I had to double‐check I wasn’t see­ing fake in­for­ma­tion. Inquisition of Kozilek: an­oth­er un­com­mon that spiked at around $25 that is now sell­ing for ap­prox. $5 de­spite be­ing shift­ed to rare. These are sta­ple cards that are bound to slow­ly climb back up in val­ue, mak­ing the set even more at­trac­tive to buy­ers. This isn’t mere­ly val­ue in the fi­nan­cial sense, as Conspiracy: Take the Crown has a val­ue to the game by putting sta­ple cards in the hands of play­ers who need them. The only peo­ple who lose out in this case are a hand­ful of spec­u­la­tors. 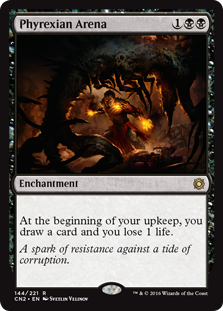 The stench of filler, and the prac­tice of only print­ing playable cards at myth­ic rar­i­ty, is why I crit­i­cised both Modern Masters 2015 and Eternal Masters so heav­i­ly. They seemed to be more on the side of card spec­u­la­tors than that of the av­er­age Magic play­er. They were sets made of most­ly bulk sold at pre­mi­um prices. Conspiracy: Take the Crown is the ex­act op­po­site of this, pre­mi­um reprints at every rar­i­ty be­ing sold at stan­dard prices. It throws into sharp re­lief just how poor Wizard’s reprint pol­i­cy had been, both in the nor­mal block sets and their own reprint sets. This isn’t to say the new cards are with­out val­ue ei­ther. Cards I men­tioned like Sanctum Prelate, Recruiter of the Guard, and Daretti, Ingenious Iconoclast are all sell­ing for $10-$20. I rec­om­mend a bit of cau­tion, as there is al­ways a spike in prices when a new set get re­leased due to hype and spec­u­la­tion. But I don’t fore­see all of these cards drop­ping to bulk prices. As al­ways MTG Goldfish has the ex­pect­ed “val­ue per pack” of Conspiracy: Take the Crown and it shows a high­er av­er­age when com­pared to sim­i­lar sets. Once again, this is an un­lim­it­ed print run set so prices are go­ing to fall in the short‐term and pack val­ues are nev­er go­ing to be as­tro­nom­i­cal. The real val­ue to this set is be­ing able to walk away from a draft with cards that are use­ful in mul­ti­ple for­mats. If this kind of set ap­peals to you at all then my rec­om­men­da­tion would be to buy Conspiracy: Take the Crown and play it as soon as you can. It’s rare you get a set that when af­ter you’ve draft­ed it, you’re left with a host of rel­e­vant cards. This set ticks all the right box­es. I’ve seen it here in the UK for at, or even be­low, MSRP/RRP. The set will be avail­able for the fore­see­able fu­ture so there is no rush to go out and hoard prod­uct. 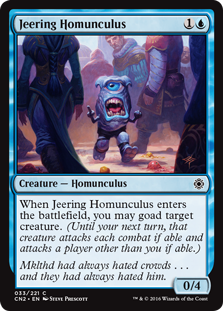 It’s fun in Limited, has a heap of use­ful cards for a ton of oth­er for­mats, it’s short on filler and of­fers a unique game­play ex­pe­ri­ence. The set works best when draft­ed with a group of eight friends. 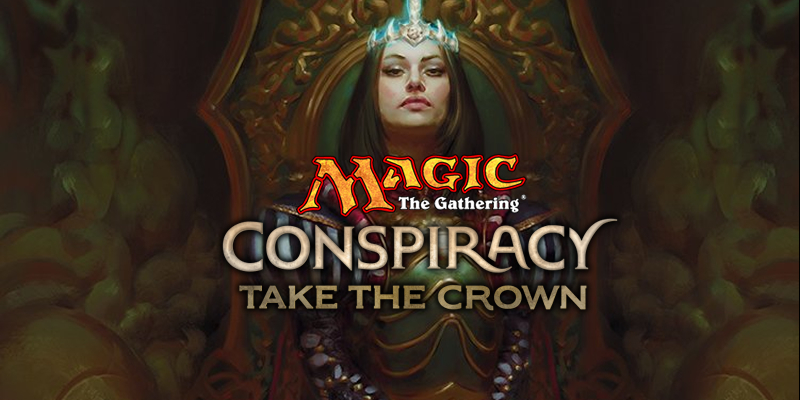 As al­ways, just sit­ting and crack­ing packs will nev­er pro­duce prof­it over the long‐term and would be a real waste of the well craft­ed Limited en­vi­ron­ment on show in Conspiracy: Take the Crown. With all of that said, my main re­ac­tion to Conspiracy: Take the Crown is one most­ly of re­lief. It seems Wizards of the Coast is fi­nal­ly, if be­lat­ed­ly, re­spond­ing to the de­mands of their play­er base as well as the re­al­i­ties of card pric­ing and stock. Conspiracy: Take the Crown isn’t ex­cep­tion­al de­spite the praise I’ve heaped on; it’s mere­ly what a Magic the Gathering sum­mer set should be. 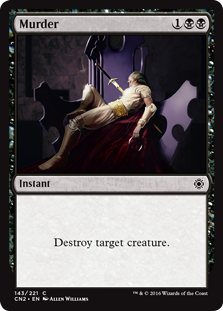 Yes, there are a few po­ten­tial­ly lega­cy playable new cards in the set, but I don’t think we’ll re­mem­ber Conspiracy: Take the Crown like we do the orig­i­nal Innistrad or Zendikar blocks. Conspiracy: Take the Crown doesn’t re­de­fine the game around it, its main fea­ture and sell­ing point is its re‐pints. The com­mu­ni­ty has be­come so ac­cus­tomed to get­ting table‐scraps from Wizards that a de­cent square meal now looks like a king’s ban­quet. Many of the big plus­es of the set come from the Conspiracy for­mat, and there is a wider dis­cus­sion to be had about the pos­i­tive ef­fects Conspiracy as a prod­uct has on the set, and I’ll cer­tain­ly be delv­ing into that. 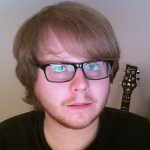 I’ll be dis­cussing both sets in the September’s edi­tion of Super Nerd Land, so if you’re a fan of the set watch out for that. I hope to Helios this set shows the shape of things to come, and it’s not just a hap­py out­lier. « [Republished] A Day at ShemFest.